When we hear about solar panels, we automatically think of smaller carbon footprint and lower electricity bills. 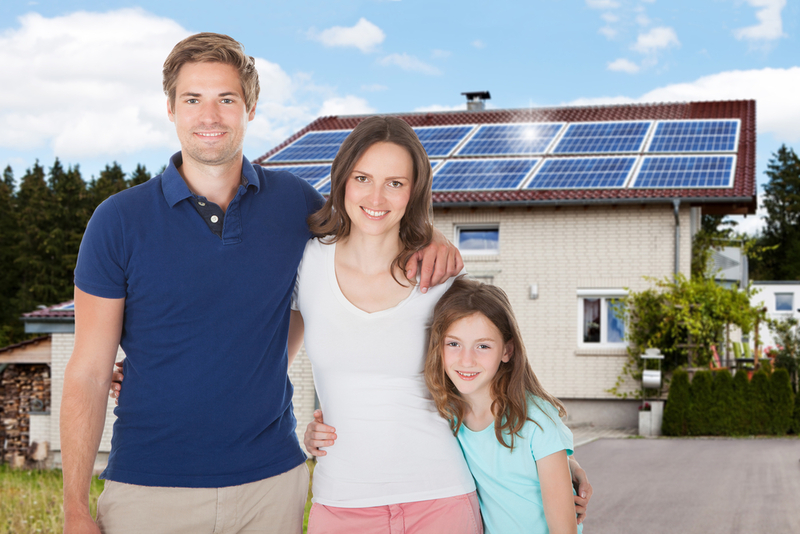 These are the principal reasons why most people decide to install solar panels in their homes. However, there are more benefits of going solar than just having your monthly utility statements shrunk. Installing solar panels for your home does increase your property value and in case you wish to put your house back on the market, be sure that you will fetch a better asking price than if you did not have solar panels installed. How Do Solar Panels Make Homes More Attractive? A house’s property value increases depending on the size of solar panels installed and geographic location. Research shows that the resale value of a house increases on an average of $4 for every additional watt of solar panel installed. So that means if you have a standard 5kW system installed in your home, the resale value of your home will go up to $20,000. A house installed with solar panels also saves the owner a substantial amount of money that is paid on electricity bills. This reason alone makes solar panels a good investment that brings in good returns in the long run. Why Do Solar Panel Installations Increase Property Value? Everybody wants to save money spent on monthly utility bills and solar panels help to reduce electricity bills. For this reason, future home buyers would be more interested in buying a house that is already installed with solar panels since these benefits becomes theirs automatically. Investing in solar panels is a win-win situation since you get to enjoy the financial and environmental savings while still residing in your own home. When you decide to resell your home, your investment pays off by selling your property at a higher value. When you compare your resale value to the amount used to install the solar panels, you will find that you made the right decision. A home with solar panels also sells much faster than a home without therefore your house does not stay on the market for long. Does Solar Leasing Affect Resale Value? Some people prefer solar leasing than installing their own solar panels. The difference with leasing and installing your own solar panels is that when you lease, the solar company does not charge you for installation and you only get to pay monthly energy payments that the panels generate. You still get to save money since you pay less on utility bills however these leases have a time limit. If you wish to resell your home, the next buyer has to take over the lease agreement and if he chooses not to, then you have to buy out the remaining share of your lease contract. Leasing is usually a great option if you don’t plan to sell your house any time soon. Besides the solar incentives that you can see in the short term, investing in solar panels in your home is a smart financial move which yields long term benefits. You will not only save money on utility bills, but your house value automatically goes up which will benefit you in future when you wish to resell your home.